Companies are digitizing their global supply chain to streamline the end-to-end import process and establish strong internal controls to stay in compliance and qualify for benefits under the Importer Self-Assessment (ISA) program. Join us for a complimentary Journal of Commerce webinar entitled, Automating Imports at Emerson: Key Learnings to Unlock the Value in Your Global Supply Chain, broadcasting on Thursday, November 3 at 2:00pm EDT. During this webinar, viewers will learn how Emerson Automation Solutions automated their import compliance operations, and strategies for measuring and communicating the value of automation. 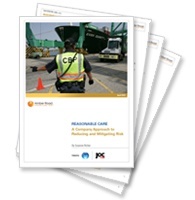 Reasonable care standards promote a consistent approach to a company’s import process and are often a mitigating factor in avoiding penalties. Amber Road's Trade Advisory Practice and the Journal of Commerce recently conducted a survey to help organizations rate their reasonable care process over its import and entry filings. Risk is a fact of life for any supply chain, whether it’s dealing with quality and safety challenges, supply shortages, legal issues, regulatory and environmental compliance, or natural disasters. 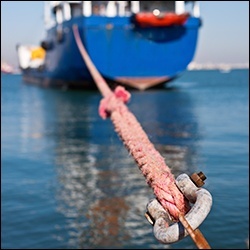 Luckily, companies can take a proactive approach to risk management to ensure their global supply chains are insulated. 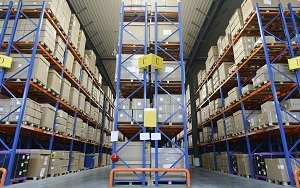 How Can Software Help Secure Your Supply Chain? 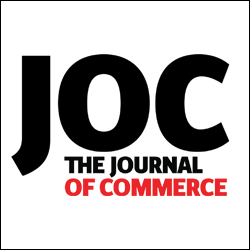 Supply chain security can take a number of forms, and the challenge can seem daunting: cyber-crime, terrorism and even regulatory compliance audits are constant, complicated threats. Software can help secure your supply chain and assist with government compliance and internal risk assessment. Recently, governments have instituted security-related shipment regulations to keep on top of supply chain crime, which helps to protect the supply chain, but also requires an extensive compliance program on the part of the shipper. Global trade management software can assist with programs like the Importer Security Filing and Additional Carrier Requirements (commonly known as “10+2”) in the U.S., and the Customs-Trade Partnership Against Terrorism (C-TPAT). Additionally, the World Customs Organization has adopted a new framework for security filing programs, meaning that many other countries will adopt similar regimes. What is the best department to oversee trade compliance? American Shipper’s recent report, “Import Operations and Compliance Benchmark Study: The Secrets of Import Success” suggests that best practice would be to have trade compliance reside in the compliance department. Their assertion makes sense at face value, but John Wainwright, Vice President of Customs Compliance at Leggett & Platt, made a compelling case for the procurement side of things in discussion with Steve Banker from ARC Advisory Group for Logistics Viewpoints earlier this week. Leggett & Platt designs and produces engineered components used in industrial and consumer finished products. As a manufacturer, it makes the most sense for trade compliance to report up through procurement. And since Leggett & Platt has been using Amber Road’s Global Trade Management (GTM) solution for about ten years, the company has been able to remain compliant with changing regulations and a growing international supply chain. The solution has also made Leggett & Platt a much better partner to its suppliers, with increased visibility and easy filing through a secure online portal. 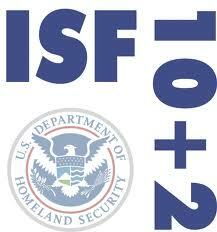 The US Customs and Border Protection (CBP) announced that it will begin the liquidated damages phase of the Importer Security Filing (ISF) on July 9, 2013. These ISF enforcement phases are designed to help CBP make more informed targeting decisions regarding high-risk US-bound cargo. International trade is a critical component of the US economy, with US imports alone amounting to $2.2 trillion in 2011. The US Customs and Border Protection (CBP) is the primary agent charged with ensuring the smooth flow of trade. 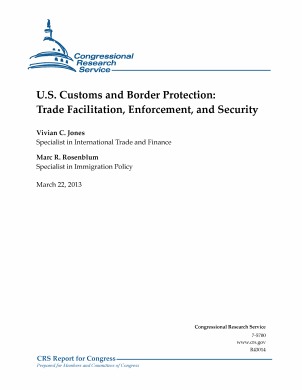 A recent report by the Congressional Research Service (CRS) analyzed the US import process and uncovered complex challenges CBP faces in creating import policy. 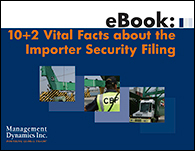 It's been six months since the Importer Security Filing (aka Customs 10+2) regulations took effect, but some companies are still struggling to achieve 100% timely and accurate filings as required by these new regulations. Please take a minute to answer the following unscientific and highly subjective poll! Based on your answers, I will feature more posts on these exciting trade compliance categories in the future. In a recent AMR Research study, 53% of 160 global trade professionals surveyed claimed that they would be increasing their investment on global trade management (GTM) software in 2010. Some of the main reasons cited in the study for the increase include: to improve coordination of GTM functions internally; to meet government mandates; to meet security requirements; to protect the brand; and to control various costs.